Thanks to a very helpful chap at the Council (thanks Richard! ), we’ve got some more images to show and tell regarding works to the Council Housing Upgrade Project. Post updated with rear views, for JP, see end of post. 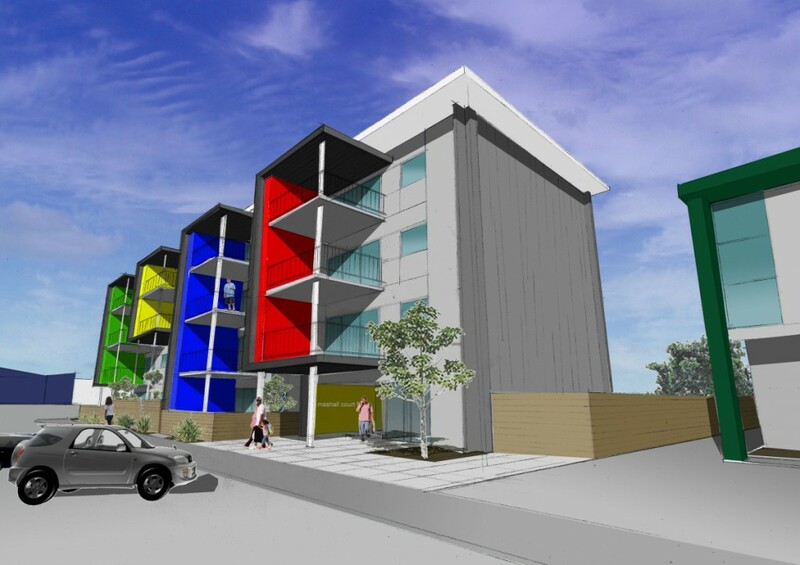 We haven’t got any revised plans as yet, but the general intention appears to be to combine some flats where possible to make bigger units, to upgrade fire escape provisions and seismic requirements to stop them sliding down the hill, and to give the residents a much improved quality of living. There will have to be some clever staging of renovations to be able to gradually do up these schemes without just dumping the current residents out on the street. A vast improvement, wouldn’t you agree? 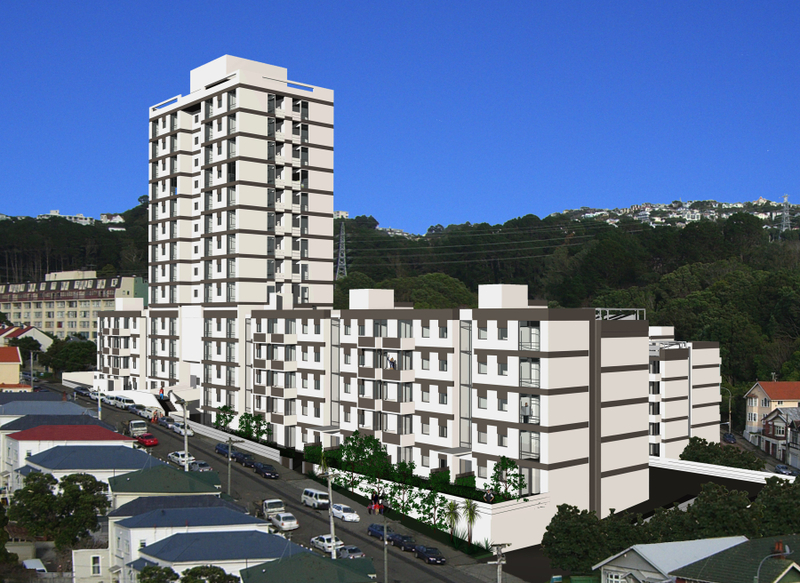 Addendum: relating to a comment from JP regarding the rear elevation of the Central Park flats (backing onto Brooklyn Hill), Richard MacLean has sent through the following before and after shots – as he says, probably not quite what you’re looking for, but an indication none-the-less. In this current picture (above), the open plan car deck can be seen above the garage / lock-up / workspace below. My understanding is that these are the relatively unsuccessful car parks, that suffered from theft, and so are now largely unused. Not having seen the plans, I’m not sure what is happening to these spaces, but from the look of the renderings reproduced below, have they been transformed into something else? Is that more housing? Would Novak and Middleton like to reply? Why isn’t newspaper man paying attention to the waving lady? She might be wanting to invite him up to her house for some quinoa salad. He’s too busy reading the news to see what’s really going on in the world, etc. – change to vehicle from white van to a zippy little city hatchback. – addition of man in blue shirt, keeping an eye on things from his 2nd floor balcony. – a number of residents leaving the building because it is the morning and they are going to work or a training scheme because they are not dole scum layabouts. Yeah! Bring on the good times! I certainly hope you’re right about the power lines, or else they may be able to reach out from the new balconies and swing off them. Which would not be so good. Very observant on the other changes though. Myself, I’m just a wincy bit worried that the person on the first floor in the yellow block hasn’t got a balcony, while everyone else has. It’d be a terrible thing to have balcony envy. Let’s hope they get invited over to their friends place at regular intervals. i quite like the way the hideous green paint on the corners has miraculously leapt off on building and onto the neighbour’s place. RE: Nairn Street: balconies are a nice start, but it’s the rear of these flats on Brooklyn Road that I’d like to see improved. These flats mostly back onto Brooklyn Rd as dreary garage doors and carparks. It’s not a bad space – across the road you have the entrance to Central Park, which is stately and nicely done, and there is that bank of villas further down, so it’s a space with lots of potential. BTW why are WCC tenants given so much parking? Since hardly anyone else in the area has any it seems more than a little unfair. 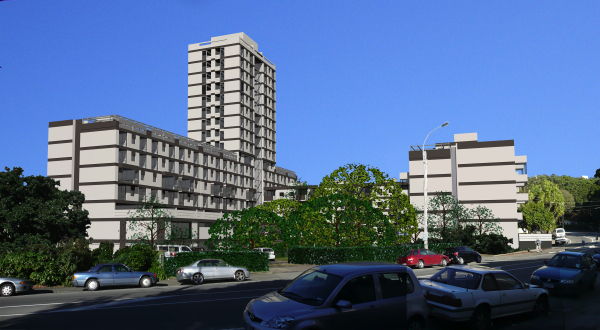 The WCC contribution of approximately $100 million appears to result from the ring-fencing of rental income that was required by the Government as part of the deal outlined in the amendment to the WCC’s long term Council community plan 2006/7 (http://www.wellington.govt.nz/plans/annualplan/0607/pdfs/2007amendment.pdf). 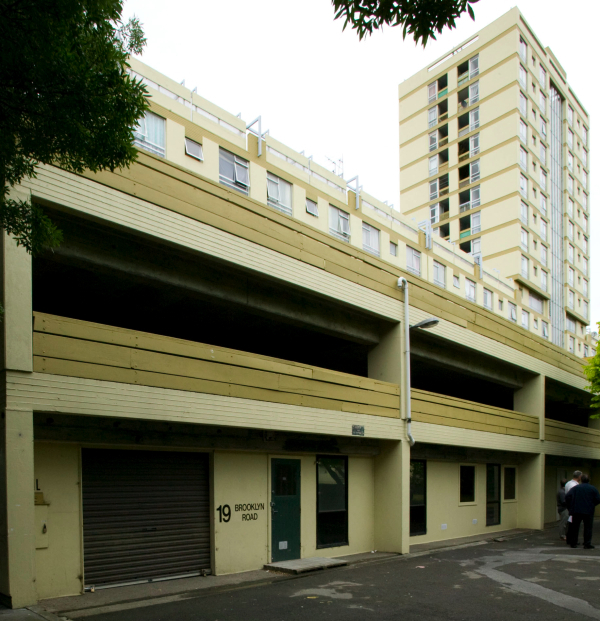 jp – “why are WCC tenants given so much parking?” well, to be honest, a lot of the carparks are empty, as i think they kept getting nicked…. So where can we buy hot carparks Maximus? We could do with a few more round town. There are less and less carparks every year, so someone must be nicking them all. Perhaps there is a giant storeroom filled with them? Oh you guys – soooooo immature. Really…. Are there any rear elevations available we could post? Maximus – I’ve flung a couple of backside shots (so to speak) to your email address. Hopefully they’ll land soonish. Thanks Richard. 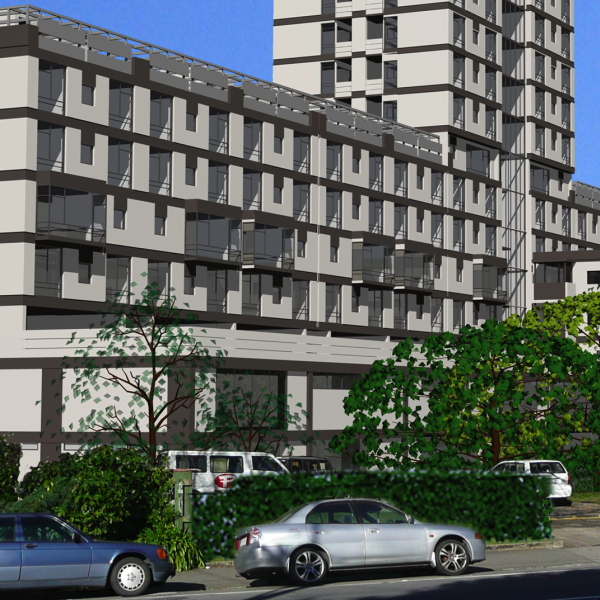 Any news on whether the look of Te Ara Hou is changing like these other ones are? Or are they staying much the same? I was surprised to see the tenancy demographics – something like 47% were over the age of 50. Where are these people going to go when the more family oriented units take over? re: Richard MacLean: I want your job. In the late 1960’s Lyndon Johnson in the US introduced the Great Society which was responsible for many of the large public housing blocks (such as Chicago’s infamous public housing projects on South State Street, or Cabrini Greene.) Later these would be attacked for their dead public plazas and indefensible space, despite the fact that there are luxury apartments that have essentially the same architectural planning, and do not have problems with gangs and crime capitalising on the architecture. In 30 years the buildings of LBJ’s great society went from the new concept of lifting the poor out of squalor, into the dustbin of failed architectural projects. However many of the failures were due to poor maintenance and the segregation of poor into huge projects. The approach now in the US is issuing section 8 vouchers that allow the working class to integrate into middle class housing. However there are failures with this system as well, mostly regarding prejudice and abuse of the voucher system. So my question is; is there research that indicates an outdoor space actually improves this housing type? Does rehabilitation help? 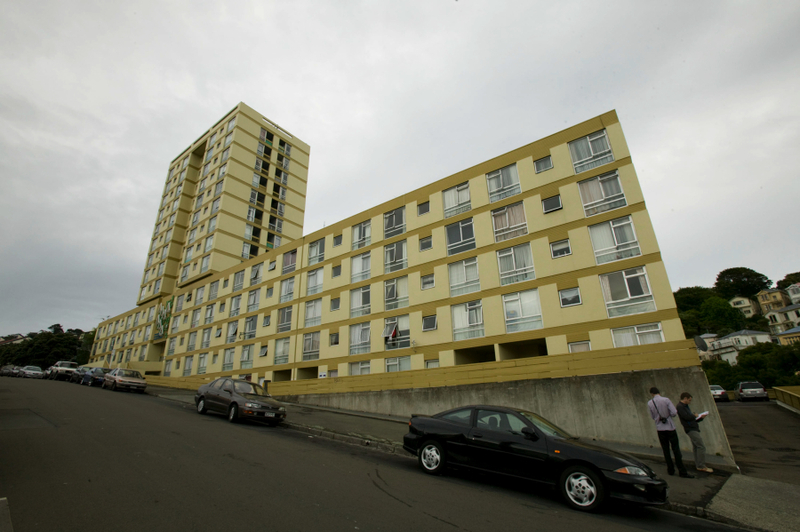 Or is the whole concept of housing all lower income residents in a single location, with poor government funding to repair and upkeep have more to do with the failures of social housing? I guess I have a bit of skepticism about the success of these projects as right now they appear to be nothing more than a coat of paint, some balconies and some interior improvements, but ultimately the problems of the working poor are much more systemic than aesthetic issues can solve. 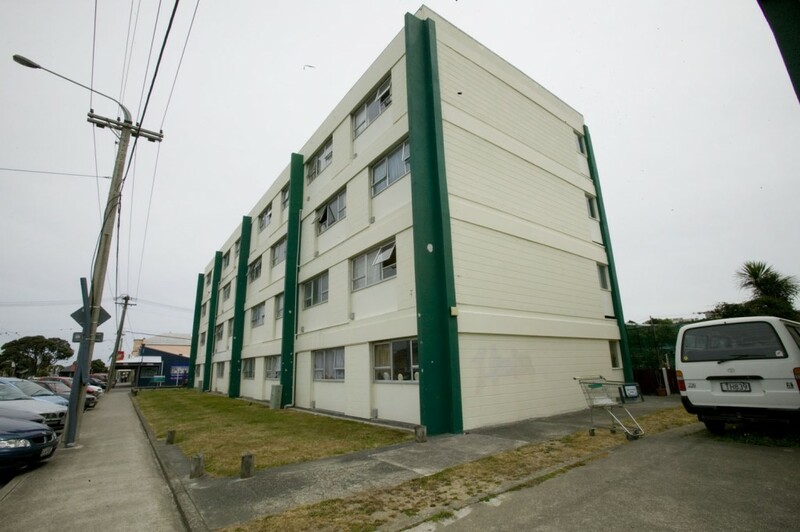 I am 100% behind improving the living conditions of people living in public housing, but I would like to know whether this work will lead to real improvement, or is it just window dressing on a bad situation that no one has any real concern about improving. aaaah, one for you perhaps Richard? Re:goodbert, perhaps it’s the ghost of Jan Gehl, stealing away his 2-3% p.a. hmm yes by way of a bit of a response to jayseatee, I think it’s generally agreed that the City Council’s housing stock is a good thing to have because it meets a definite need for affordable housing in the city. The Council provides homes for people who, for a multitude of reasons, just can’t find accommodation anywhere else. Most of our sites, apart from Newtown Park, aren’t really all that big so they can’t really be compared with the really big projects or estates in, for example, the US or the UK – and the fact they are spread all over the city tends to negate concerns about the whole ‘ghetto’ issue. 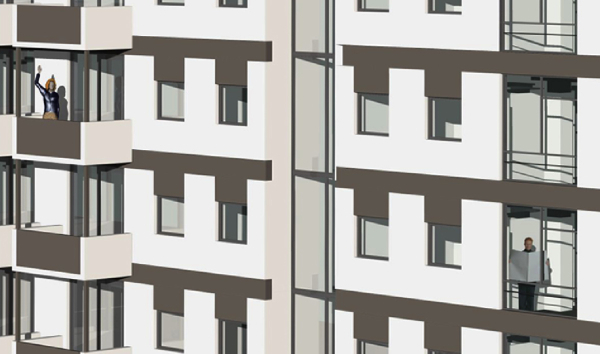 Re the actual work – it’s far more than a bit of paint and a few balconies. There’s going to be loads of earthquake strengthening – which we have to do under the Building Act. So while we have to get in and pull some of these buildings apart to get at their structures, we’re also taking the opportunity to knock out walls between many of our small bedsit or one-bedroom units so we can create more units suitable for families. Many of the units also have bathrooms and kitchens that are too small for modern applicances – so we’re making changes there – but we’re also improving insulation, ventilation – and making big changes to the likes of Central Park to improve security (one of the things many of our tenants don’t like is the fact that some of the bigger sites, like Central Park, are laid out in a manner that means anyone can come in in off the street and wander about all over the site). I think there have been studies investigating this, and it comes down to a few basic things like: ownership vs renting, “my” space vs unclaimed “common” space, and at the most basic level: degree of upkeep. All of them interact, so if the Council doesn’t do their part in keeping things clean, tidy, and in working order: then the tenants won’t either. Most of the large (privately owned) housing developments in New York have a doorman – whereas I’d venture that none of the publicly owned ones do. I know I’ve read studies of ‘defensible’ space in England, and where it could be seen to come under the ‘protection’ of a particular resident, then there was less – far less – problems than those that had amorphous common space. Re the balconies, they’re an absolute must-have. Although frequently not used much, its that crucial half hour when you do want to be out on a balcony and yet can’t, that will destroy the sense of comfort in a home. I think the key to designing them is to produce something that can’t just be filled with crap – or that if it is, then it should be able to be hidden from view. No one wants to see your knickers on the line. “No one wants to see your knickers on the line.” Not true. Some / plenty perhaps / do. i quite like the way the hideous green paint on the corners has miraculously leapt off on building and onto the neighbour's place.